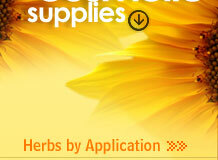 Wholesale suppliers and exporters of Valerian Root and Valerian Oil. A tufted, hairy, herbaceous perennial upto 45cm in height with thick horizontal root-stock basal radical leaves long-stalked, deeply cordate-ovate, usually toothed or sinuate, cauline leaves only a few, much smaller, entire or sometimes pinnate, flowers white or tinged with pink in terminal corymbs, often unisexual, the male and female on different plants, fruits oblong, compressed, hairy or nearly hairless. Actinidine, carotene, calarene, calarenol, elemol, jatamols A and B, jatamansic acid, Jatamansone, nardol, nardostachonol, norseychelanone, seychellane, seychellene, spirojatomol, valeranal, valeranone, virolin, angelicin, jatamansin, jatamansinol, oroselol. The roots are bitter, acrid, astringent, thermogenic, alexteric, emollient, anodyne, vulenerary,hypontic, carminative, digestive, stomachic, laxative, hepato and cardiotonic, trichogenous, expectorant, diuretic, emmengagouge, aphrodisiac, febrifuge, ophthalmic and tonic. They are useful in vitiated conditions of kapha and vata, arthralgia, ulcers, wounds , epilepsy, convulsion, dyspepsia, flatulene, colic, ascites, constipation, jaundice, cardiac debility, dry cough, asthma, strangury, amennorrhoea, dysmenorrhoea, seminal weakness, chronic and intermittent fevers, ophthalmopathy, skin diseases, falling or hair, splenopathy, nephropathy, gleet, pharyngitis, leprosy, erysipelas and general debility. A popular and reliable sleep aid, valerian has not always been used for it's sedative properties. In ancient Greece is was prescribed for digestive problems, nausea and urinary tract disorders, while native peoples relied on another species of valerian for treating cuts and wounds. However, recent research has lent support to valerian's use as a sedative. Studies have indicated that active ingredients in the plant's pungent root both depress the central nervous system and relax smooth muscle tissue (involuntary muscles, such as those that control the intestines and the blood vesels.) In controlled tests, the herb has been shown to lessen the time needed to fall asleep, and it also produces a deep, satisfying rest, similar to that of many commercial sleep aids. In addition, valerian doesn't cause "sleep hangovers" the next morning, nor does it produce dependancy as some prescription sleeping pills can. But valerian is not just useful for inducing sleep. It has also been found effective for calming nervous stomachs, and may be taken during the day to relieve symptoms of stress. Tinctures and capsules are widely available, and are especially popular in Europe. But valerian is also effective in other forms, including teas and liquid extracts - although many people are put off by valerian's strong smell. Cats, on the other hand, are wildly attracted to the pungent roots of valerian, which contain a chemical similar to one that may be found in catnip. Valerian is generally considered safe but, like most medicinal herbs, should not be used to treat infants. 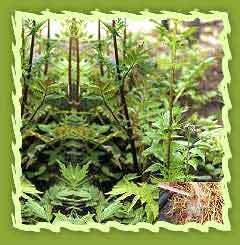 In addition, pregnant women should consult their obstetricians before using valerian or any other herbals. Plant Parts & Active Compounds : Root. Essential oil, valeric acid, and chemically unstable compounds called valepotriates.